Beautiful brick historic home in the heart of The Fan! 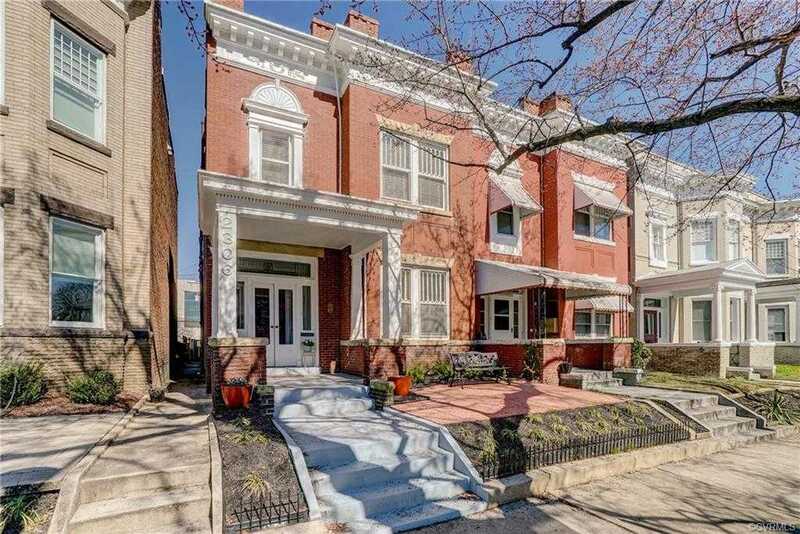 Steps to museums, restaurants and shopping and only one block from Monument Ave and all the fun that can provide. 11+ ft ceilings and hardwood floors throughout. Eat-in kitchen. Formal living room, family room and dining room – all extra-large and sunny! The 2nd floor offers 4 large bedrooms and 2 updated full baths. Inviting front porch, original fireplaces (non-working) , large mud room with a back stair for convenience. Landscaped fenced-in backyard and patio for you to enjoy. Located in the great Fox School District and close to VCU. This home not only has great indoor features, it’s also close to so many activities! Spend the day exploring the Science and Children’s Museums, walk to the Diamond to catch a Flying Squirrels baseball game. Even the breweries of Scott’s Addition are walkable! Explore the amazing local restaurants around the Fan. Only one block from the Whole Foods that is coming to Sauers Center. Great Home in a convenient location…you don’t wait to miss this one! Please, send me more information on this property: MLS# 1906147 – $590,000 – 2306 W Grace Street, Richmond, VA 23220. I would like to schedule a showing appointment for this property: MLS# 1906147 – $590,000 – 2306 W Grace Street, Richmond, VA 23220.